SPECIAL DEALS ON 7 NIGHTS OR MORE!!! Welcome to Tiggers Treehouse ,the beautiful 3 bedroom two bathroom luxury vacation home with private pool located on the popular and highly sought after Indian Ridge Oaks development. Situated just ten minutes drive from Disneyworld Main entrance, this immaculate home from home is sure to be everything you want and more. 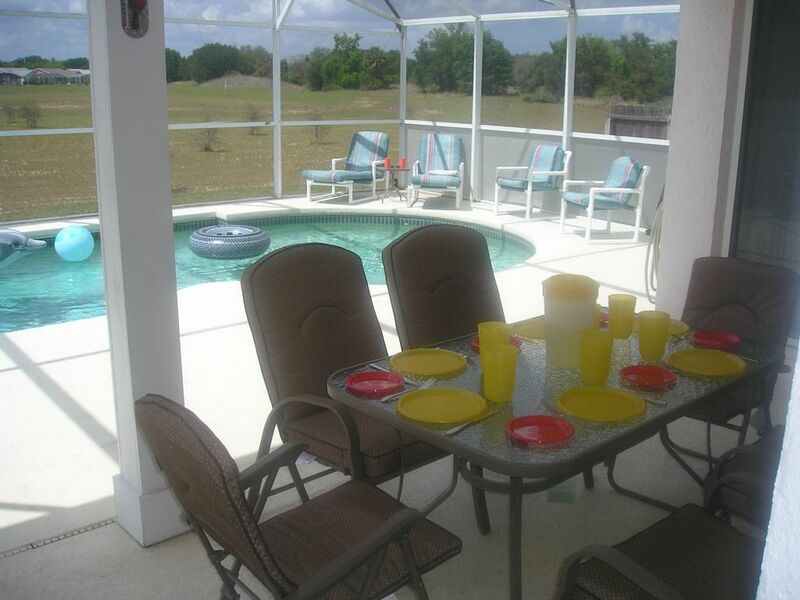 This awesome Disney vacation home with pool is equipped with everything you could require for your vacation. 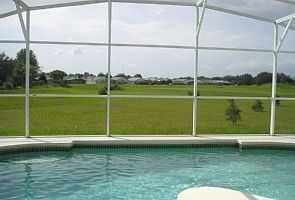 It has a lovely private pool that backs onto a quiet field with a golf course close by. The master suite has queen size bed with TV and en-suite facilities and a big walk-in closet for all the new clothes you will buy from the nearby shopping malls. Bedroom 2 has a double bed and built-in wardrobes whilst bedroom 3 has a single bed and bunks, again with with it's own built-in wardrobes. There is another bathroom for the rest of your party to share. Tigger wouldnt be Tigger without giving something for the kids....like a GAMES ROOM with Foosball & Pool Table and while the kids are busy having fun the adults can plan the next day out on the FREE Internet access provided. The lounge overlooking the pool is equipped with cable TV, video, DVD player, stereo and broadband Internet access. In short you don't need to look anywhere else other than Tiggers Treehouse for a great place to take the whole family on the perfect vacation. 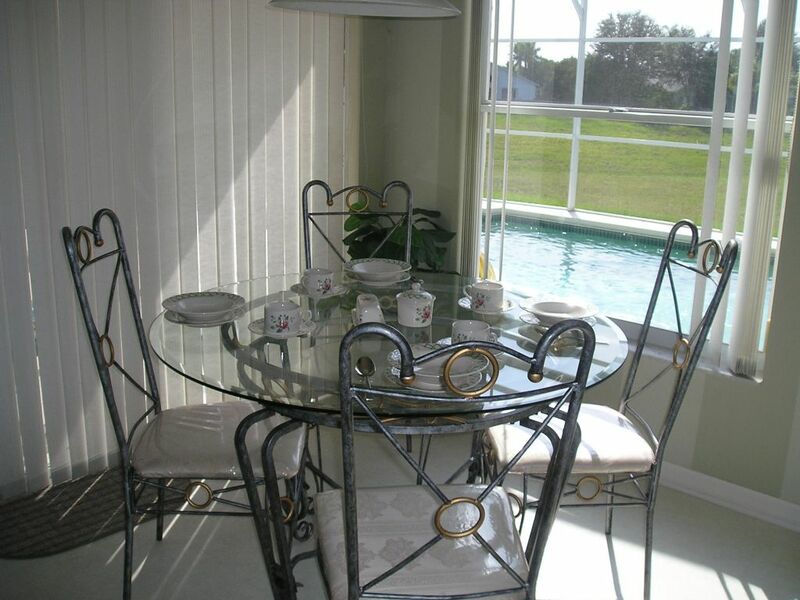 Call us now TOLL FREE 1-866-989-2030 to book this fantastic luxury vacation pool home with games room just 4 miles from Disney, you never know, maybe one of Tiggers friends will bounce in to see you. We stayed in this lovely home for a 7 night vacation. It was very clean and well maintained. More room than what we expected, more than enough with outselves and 3 children. The private pool was so nice. Lee was very helpfull with all the arrangements berore hand. I would highly recommend this to anyone. We will return!! 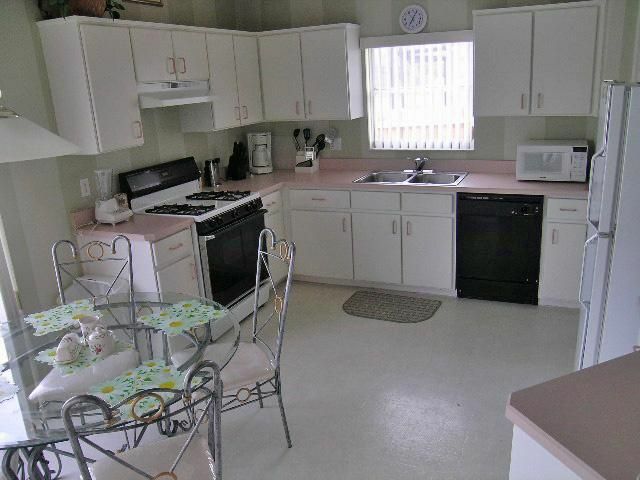 Your villa is in an excellent location for Disney. Nice place, lovely pool and excellent value for money. We would have no hesitation in rebooking. Nicely presented & very comfortable accommodation in a lovely area. Great games room. We were very impressed with the villa and had a wonderful time. The villa was clean and the children loved the pool and games room. Ideal location for visiting the theme parks. The villa was just lovely. Nice & peaceful and not overlooked. Great to sit by the pool looking out over open field. Lovely sunsets. Facilities were ideal especially the games room. Quick and easy access to the parks..a bonus as you can come home during the hotter part of the day and then go back later. Thanks for helping to make our holiday great. Very well located with private pool area. Thanks for a fab stay...will recommend to friends & family. "We had an absolutely fantastic time, the villa was beautiful, it was just like home from home. The facilities were incredible,just about everything we could need and everything was so clean,even down to the knives & forks! The pool tabel in the games room was a godsend. The kids played in there for hours. 15 minutes to the parks, couldn't be better. It was our first time in Florida, certainly not our last. No prizes for guessing where we will be staying. Thanks so much.". "Firstly I would like to say we very much enjoyed staying in your villa. We have been to Florida on many occassions and found the location and facilities in your villa better than we have previously experienced. Such a comfortable place to stay, spend time and chill out. We have already decided to book again for the same time next year. So roll on 2006.". 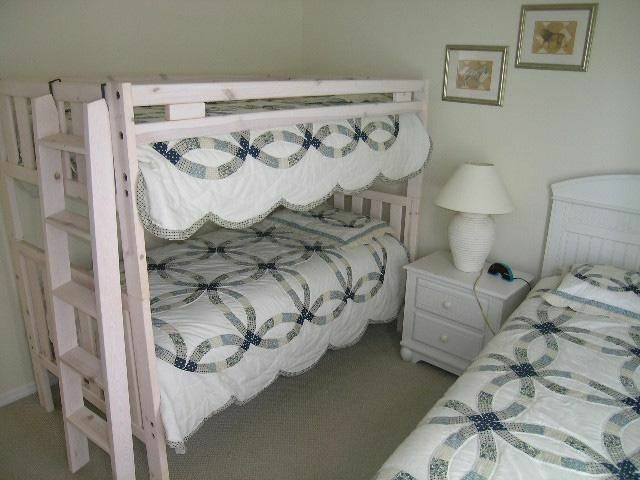 "We thoroughly enjoyed our stay in your home. We found the standard of accommodation to be excellent with everything in working order..not always the case in private villas! We would have no hesitation in booking with you again. The whole process was handled very efficiently. Thank you.". "Your home was lovely,and we had a wonderful time-thank you. I have recommended your villa to others and would definitely stay here again when I return.". "Just a few words to say thank you for the fantastic holiday we had staying in your villa. The villa. pool area and location were all perfect as was the games room. What a great addition. We will be back.". 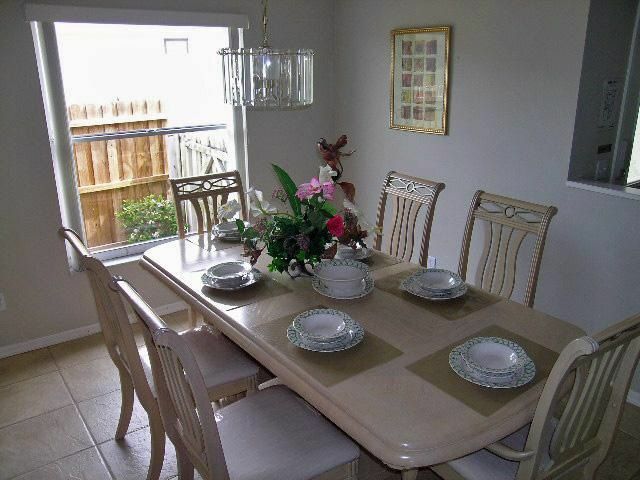 "Excellent location-straight on to the 192 & off to Disney in minutes.Lovely rear aspect with stunning sunsets. The villa was very clean and well equipped. 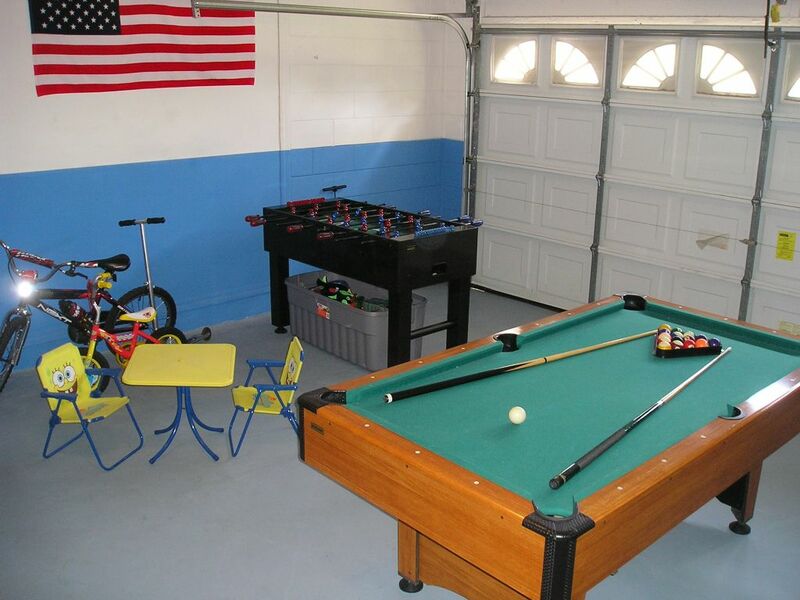 Nice touch-kiddies toys in garage. We spent a lot of time in the villa...no need to go anywhere else. Perfect." Have you stayed in Tigger's Treehouse? If you have visited in and stayed in Tigger's Treehouse please provide us with comments on your experience. For security reasons, only your name and comment will be posted.